“Unsettled” seems to be the most appropriate word to summarize our 2008 French trip. As we approached Calais on the outbound ferry, we learned that the French were unsettled about the price of diesel/petrol (aren’t we all?) and that a few factions had begun to blockade several oil depots potentially disrupting supplies. While we were over there, lorry drivers joined in by mounting operations escargots (driving very slowly in all lanes, effectively blocking a road) on a few autoroutes (motorways). We did experience a little difficulty filling up one day but never ran into any real problem. When you’re towing potentially long distances, though, the seeds of doubt are sewn and play on your mind. The weather was certainly unsettled, though that seems like a strange word for meteorologists to use to describe something that appears to be very settled into a pattern of rain and storms over large parts of the country. We’ve been travelling France for some 25 years now and never before had to spend entire days inside sheltering from constant rain; storms, yes, but constant rain, no. We experienced five such days on this trip. It’s certainly the worst weather we’ve ever seen in France, though, to be fair, our first 22 years were spent in July, August or September rather than May and June. Our first June trip three years ago was stunning but maybe that was the aberration. Finally, unfortunately at the beginning of our last week, we ourselves were unsettled by a wandering band of what we suspect to be Irish navvies invading two successive campsites leading to a lot of ill-feeling on both sides. Being fully signed-up members of the brigade of live cowards, we made a tactical withdrawal to pastures new where we managed to finish on a positive note. Given the few nagging doubts about fuel supplies but mainly because the weather was constantly stormy in the far south, we didn’t venture below the Dordogne river. Instead, the west coast seemed the most settled and we had three enjoyable weeks there. It has good infrastructure and is excellent for cycling. 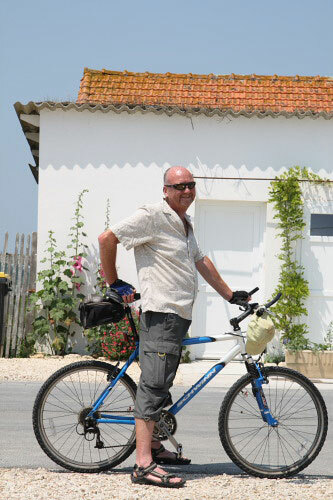 With less towing, more cycling and, consequently, less solo driving sightseeing, it was a relatively green trip which achieved of couple of my personal notional goals: cycling 100 miles per week and cycling further than we drove the car (solo, of course). Though the weather left a lot to be desired, France didn’t fail to deliver when it comes to interesting sights. 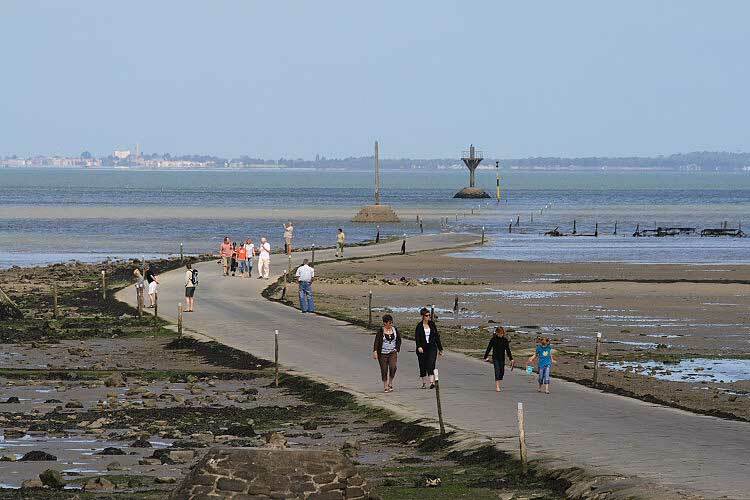 My personal favourite has to be the passage du Gois, the road that disappears under the rising tide. The almost painfully immaculate gardens at the château de Villandry come second. It would be all too easy to keep returning to our favourite haunts but new areas have to be tried to find such places. Inevitably some don’t work but some turn up gems like these. Had the weather been settled in the south, we wouldn’t have discovered them. 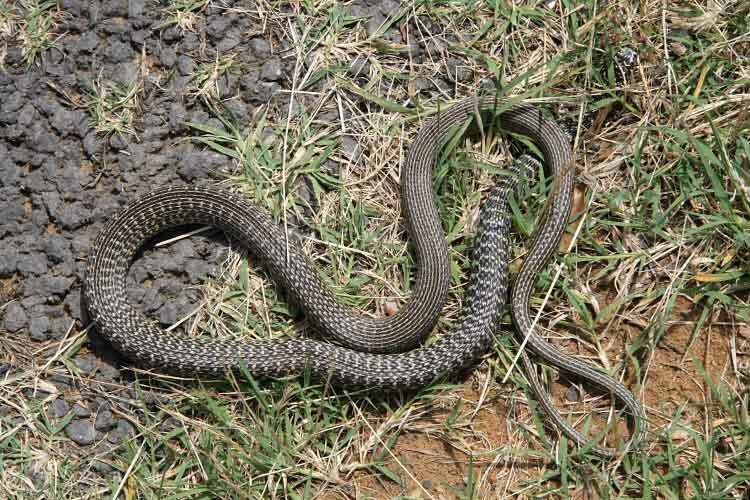 Also as expected, the French wildlife was fascinating with storks, coypus and western whip snakes, to name but three. Following last year’s appalling summer, there were very few butterflies (true also in England). If this year’s summer doesn’t improve, I fear the butterfly populations will be in a desperate situation. Unsettled it may have been but, rain and navvies aside, I think we both enjoyed it. I know I did but I’m biased, I love France. I want to submit a “postcard” entry, so consider this 4×6 – my answer to what is the arty photo from Damvix – John asleep in a field midday and Carol took a picture of the top of his head but her new camera got the focus and exposure wrong because of the excessive reflection.